This UV intensity sensor measures the amount of UV energy that is being delivered to the water being treated by continuously monitoring the lamp's output. The UV Max UV intensity sensors are engineered to read a wavelength of 254nm and are calibrated to give an alarm condition when the UV intensity drops a safe level. Not all UV Max models come equipped with a sensor but they are highly recommended. 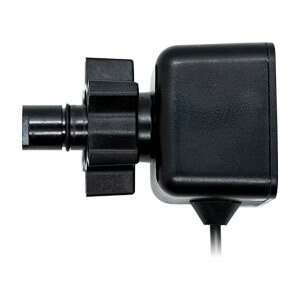 This UV intensity sensor is compatible with UV Max for G/PLUS, H/PLUS, J/PLUS, K/PLUS & PRO Series systems.